Does A Tankless Water Heater Save Money For Dallas Homeowners? Can You Really Save Money With A Tankless Water Heater? You might think an electric tankless water heater is the way to save big on your electricity bill, assuming you currently have an electric hot water tank. 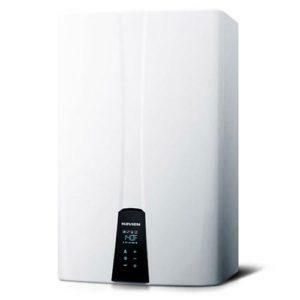 Tankless water heaters tend to be much more efficient than traditional water heaters. The tankless water heater savings will depend on how much water you use, and how much you are really at home to use that water system. You’ll find a variety of products and information from this video. A tankless water heater not only eliminates the need for a bulky storage tank, it’s a great way to reduce your household energy costs. There are so many methods of saving energy and money that are unknown to some people. Visit our website to learn more about money-saving tips around your home as well as our other professional services. We offer both residential and commercial HVAC, Plumbing and Electrical services. We always respond promptly in order to provide thorough and efficient service as quickly as possible. Call Berkeys Air Conditioning, Plumbing & Electrical (214) 238-8353 for your home service and repair needs.